Birgit ran to the nearby mini-grocery and asked a couple of us if we wanted anything. They didn’t have what we asked for so she brought us back cans of coconut water. 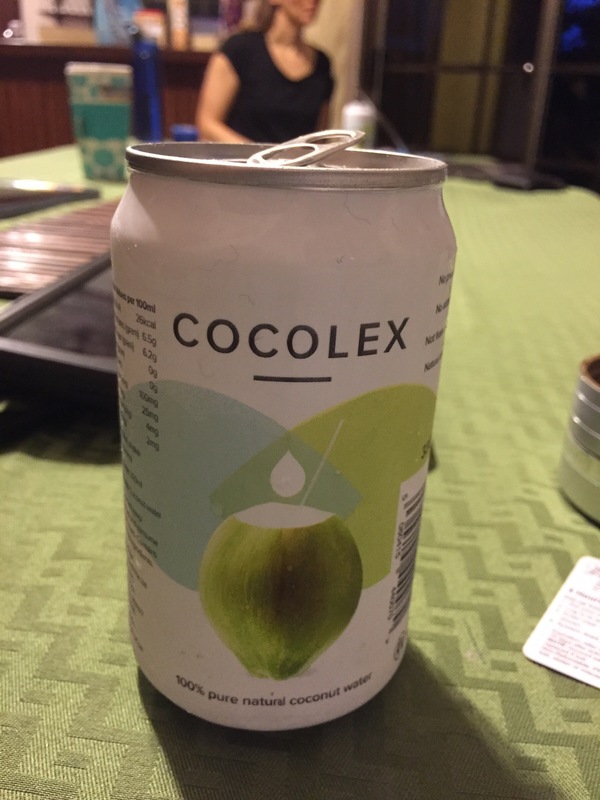 It’s my first try of coconut water as I’ve been eyeing it in the USA and here but was afraid. It’s good. Weird but good. Tastes sort of chocolatey. She, I, and another young man leave out on the same flight to Manila on the 18th. They’re talking Indian culture details as she has been there and he grew up there. She actually stayed in one of the monastery retreats up in Thailand where for 10 days you devote your time to meditation and do not speak. I’ve been looking at this as a desire for a while so she and I are going to talk more about it and I’m going to go. Yay. Should be beautiful for growth. Birgit is vegan so her run for desert which brought the coconut water brought, of course, the Vegan Standard: Oreos.